Rosanette Williams... making her way after being retrenched from Petrotrin. LIKE the 3,500 plus employees who were separated from Petrotrin, last year, Rosanette Williams was devastated. It was a painful experience and not something she expected. After all, she was living her dream as a law enforcement officer, rising to the rank of corporal with the company’s estate constable unit where she served for 14 years, providing protection for the clerical staff at Pointe-a-Pierre. In 2004, the year she was recruited, she was awarded a plaque and trophy for being the best female officer. 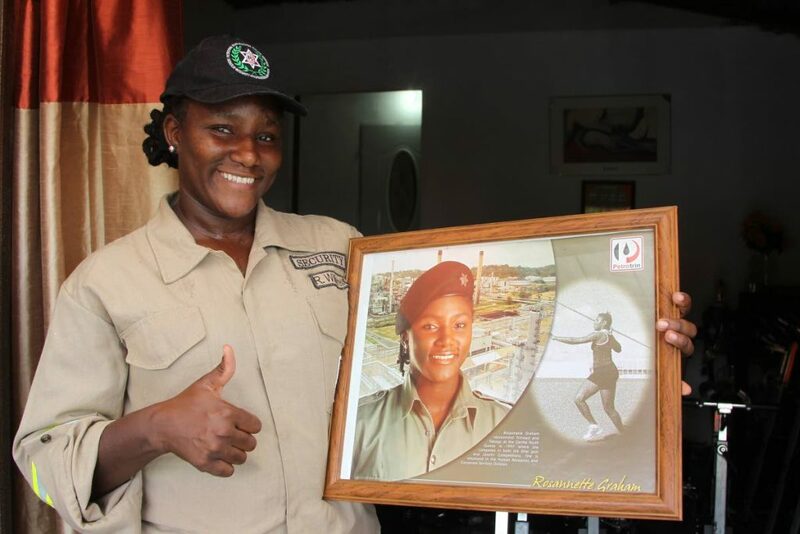 In 2004 Rosanette Williams as named the best female officer at Petrotrin. Petrotrin closed its doors on November 30 and for about two months after, Williams was in "a dark place" moping about her Sobo Village, La Brea, home, wondering how her severance benefit would see her through old age. She was only 38. "To be honest, I was kind of depressed. I was out of it. I did not do anything at all. I was hardly even training," the fitness enthusiast said. "Then I said to myself, 'Rosanette you went through a divorce and there was life after divorce, now there is life after Petrotrin and there is even life after death so why are you acting like you can’t move on from this?'" A resilient, independent and spiritually strong woman, Williams went down on her knees to ask God to put her life in perspective. She believes he did, leading her to merge her passion for fitness with her academic training in business management. He did, leading her to merge her passion for fitness with her academic training in business management. The result is T BUP Fitness Centre and Massage Therapy, a business she runs at her home. The acronym stands for the best you possible – her mantra. It is still a work in progress, but Williams is working towards achieving her goal of constructing her home gym on land behind her home. Rosanette Williams shows off a plaque that lists some of her achievements. Williams graduated from UWI Roytec with an associate degree in business management and in security management from the Cipriani College of Labour. 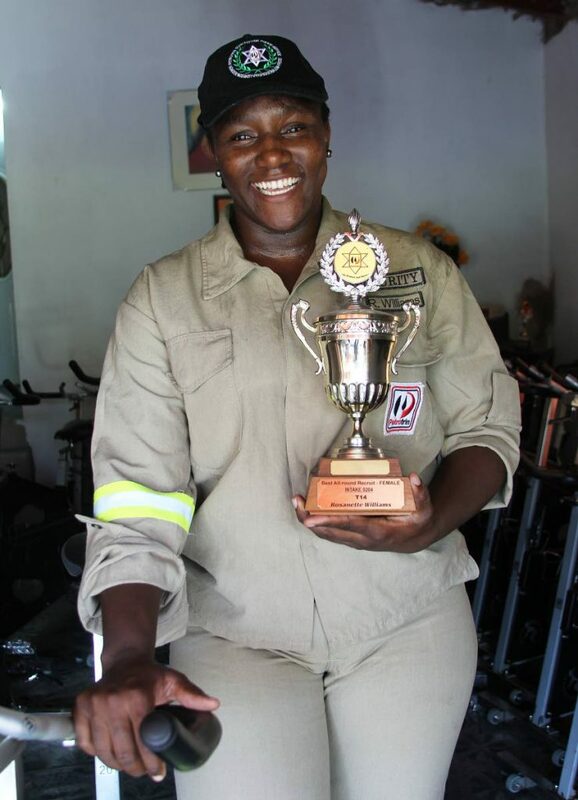 Owning a gym was not part of her plans but it was a practical option since she was also a physical fitness trainer. and was going to different locations doing massage therapy. "So, I decided this would be the best thing for me to get into, something that I love, something that I know I can do full-time and something that can bring in something that I can survive on." As if by divine intervention, at the same time she decided on a career move, a fitness centre at Arima advertised equipment for sale. "I checked it out, it was in very good condition so I decided to take the leap of faith and invest my money." Williams recalled that her skills as a track and field athlete took shape while she was a student at Vessigny Secondary School where she specialised in the javelin and shot put, later representing the country at the Carifta games. Although law enforcement was her career choice, upon leaving school Williams' passion for fitness led her straight to the gym where she shaped bodies and minds, earning certification as a spin instructor, personal trainer, massage therapist, as well as an aerobics and Zumba instructor. Rosanette Williams, a former Petrotrin employee, has moved on by opening her own gym and massage therapy business. Since 2011, she has been travelling to the World Spinning and Sports Conditioning Conference in Miami to attend lectures and do certificate courses. So far, she has been certified in several modules including spinning and yoga, physiology, body mechanics, nutrition, spin class with the elderly, children, and the disabled. 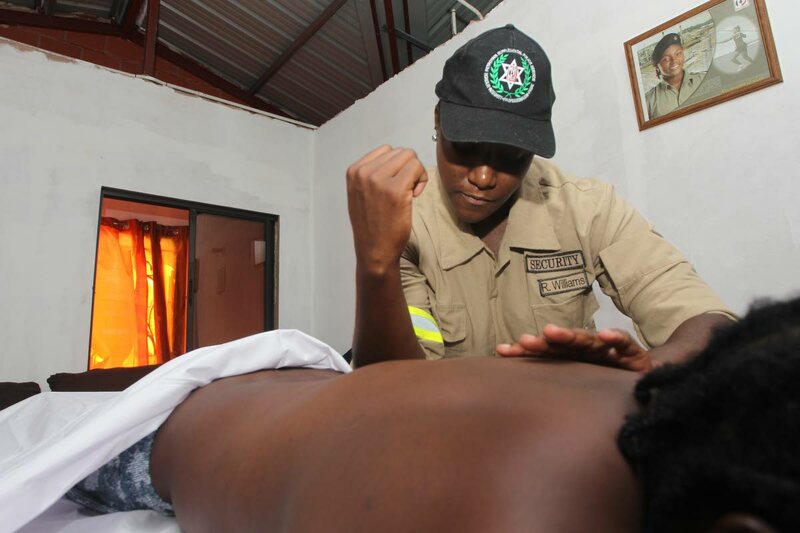 She is currently doing a diploma in clinical and corrective massages at the Institute of Medical Education in San Fernando to enhance her ability to treat patients who have been injured. One of her clients, a welder/fabricator and also her life partner, Devon Richardson, testified that after he fell off a roof, doctors told him he could not walk again. He said massage therapy "from my madam" has helped him to get back on his feet. Bouncing back after retrenchment has not been without challenges, but Williams is forging ahead. "So far it is working out. I can’t complain. People have been sending me ads to apply for jobs with the new companies, but I have made up my mind this is what I want to do. I have clients who are looking to the next phase and I am sticking to that." To former colleagues still struggling to cope with their job loss, Williams advised them trust God. "Once you have life, anything is possible. Know what you want to do, pray about it and slowly, but surely, the situation would work out for you." Reply to "Fit for business"